The second Corridor 55 Special Release LIVE podcast recording! 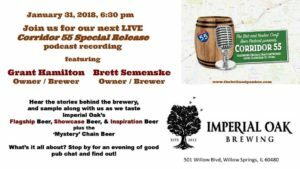 Grant Hamilton and Brett Semenske, brewer/owners, select 3 brews to talk about and we chat about their beginnings and futures. Q&A from the audience is encouraged! 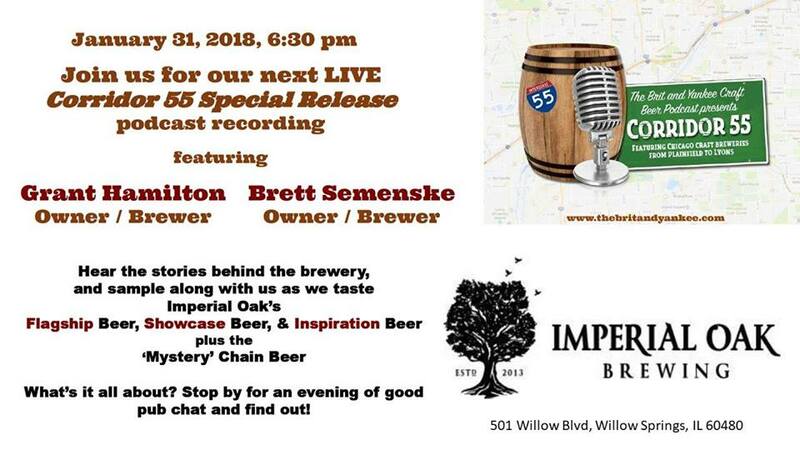 Enjoy one of their brews and be part of a live podcast recording!